A granulocyte is also known as a polynucleated cell (because it was considered to have several nuclei), and is a white blood cell. Granulocytes have large polylobulated nuclei to the extent that when examined on microscopy they look as though they have several nuclear. In reality they only have one. The cells are produced from differentiation of haemopoietic cells into myeloblasts although the granulocytes are themselves the precursors of three types of white cells (or leukocytes) which react differently depending on stain types (neutral, basic or eosinophilic). 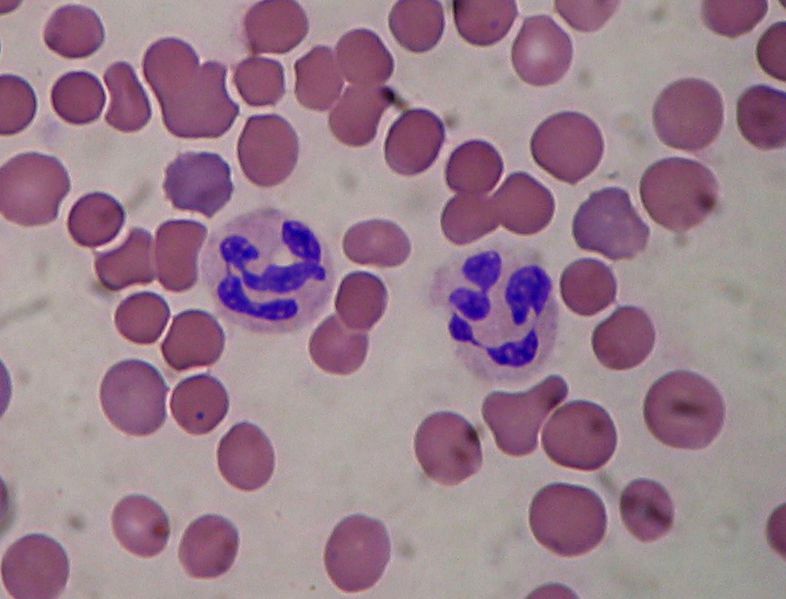 and eosinophils which stain with eosin and which combat parasites by emptying the enzymes contained in their granules.